One weekend, we went to Redcliffe for an outing and explored the morning market. Prior to that, we had early lunch so that Miss G will not get cranky! 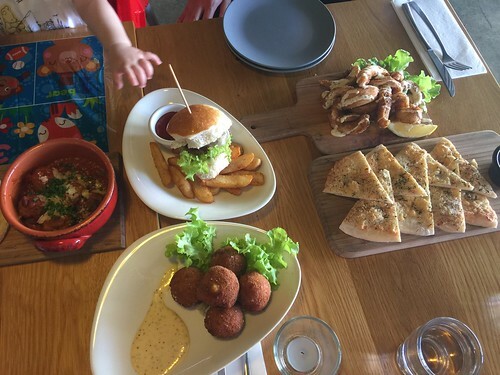 We stopped by at Brick Bistro Bar and thankfully just started their lunch session, which is mostly tapas style. While waiting for the meals to arrive, G had some colouring session with the supplied crayons and drawing papers. We certainly ordered quite a bit for two adults and one baby/toddler. Trying to guess what she will eat, we ordered a mix of food. The meals all came out around the same time and G was just salivating (maybe just a little)! LOL! 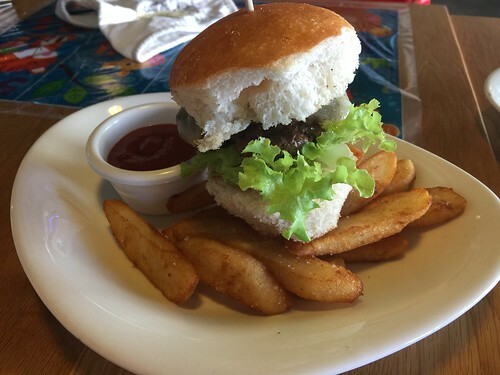 Firstly, we ordered a kid's meal (cheese burger slider) that came with fries and soft drinks for $9. The bun was quite dry but the rest was delicious. Beef patty flavourful and really good chips. Now, to the tapas. 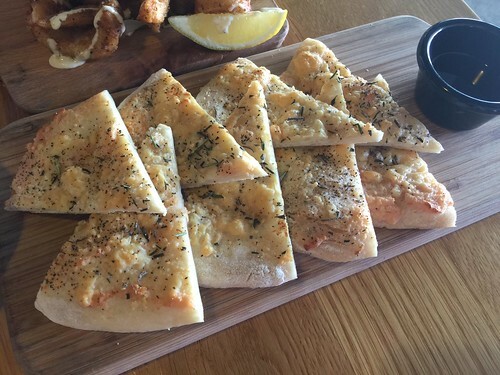 We had the flatbread and it was definitely on the saltier side. 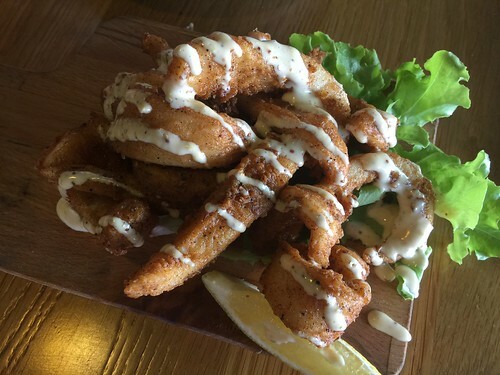 Our most favourite tapas would be the calamari. After trying out so many salt and pepper calamari from different premises, this would be my top favourite. They were tender and cooked to perfection. Yummy! Lol, we don't usually order meatballs or arancini but as Grace is at the trying selective food at this stage, so we just had to. 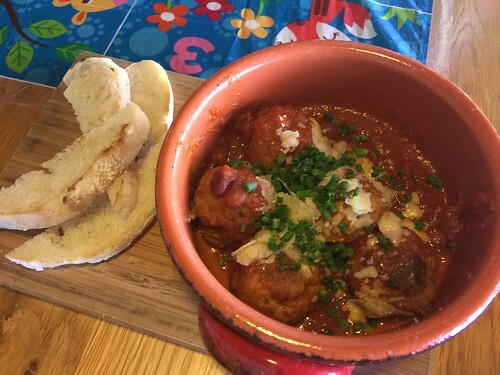 The meatballs were good, although a little spicy. 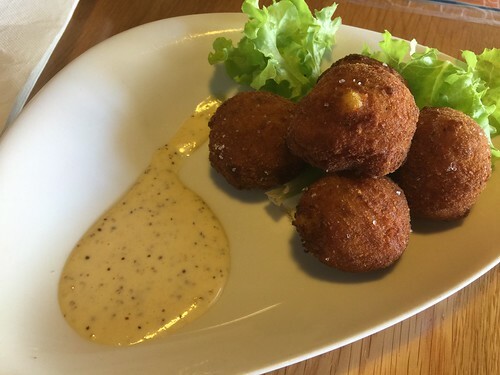 I thought the arancini was average, could be a little better.